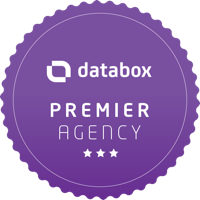 Santiago de Chile, July 17, 2017 – Chilean growth agency IDS, a leading provider of Inbound Marketing, Inbound Sales, and Growth Driven Design services, proudly announces it has earned Hubspot Platinum Partner tier level. 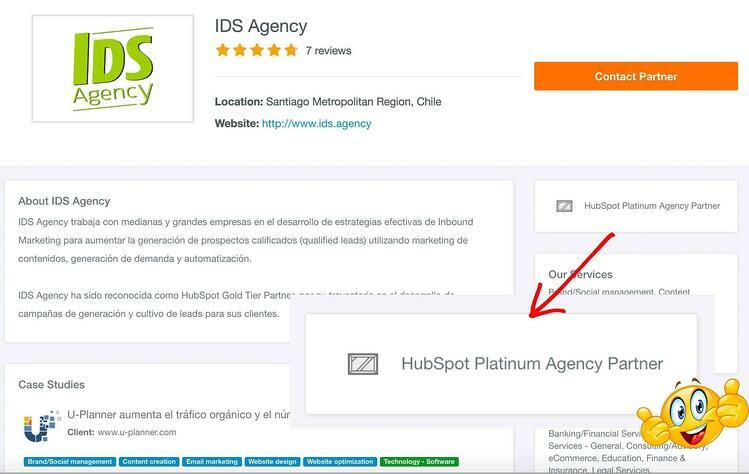 The announcement makes IDS the first Hubspot Platinum Partner Inbound Marketing agency in Chile, offering full Inbound services both in English and Spanish. HubSpot, the world’s leading inbound marketing and sales platform, works hand-in-hand with Agency Partners to grow their businesses through inbound software, services, and support. Of the announcement, HubSpot Emerging Markets-LatAm Sales Manager David Torres said, “I am in complete awe of the effort, commitment and enthusiasm IDS puts in achieving its goals. The team started 2014 with a simple vision: helping companies grow using the digital ecosystem." "Three years later IDS is an industry leader who puts clients’ business goals at the center of every tactic and strategy it executes. 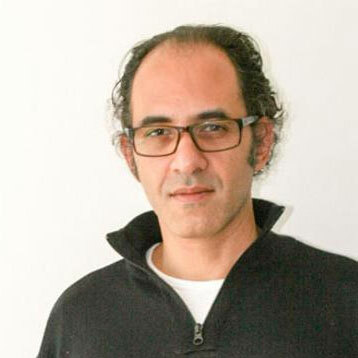 IDS is Chile’s first Platinum Agency and we’re excited to see what the future will bring”, he added. Over the past three years IDS Agency has proven the effectiveness of the Inbound method by partnering up with clients in Chile, México, Brazil and Colombia to increase leads, customers and revenue using Inbound strategies. “Becoming a Platinum Tier HubSpot partner agency puts us in the top 3% of the 3000+ partners in the world. This was our goal this year," said IDS Agency CEO and Founding Partner Ismail Aly. HubSpot Senior Inbound Growth Specialist José Martins added “becoming the first Platinum-level Chilean Inbound Marketing agency is a testament to IDS’s passion, commitment and constant quest for perfection. I have nothing but admiration for Izzy and Ranya as both people and professionals". "Less than three years ago they embarked on a new adventure to decipher Inbound for the Chilean market. Today IDS is key to HubSpot on a global scale, helping understand how Inbound will evolve in the next two to three years", he added. "Their ability to innovate is what drives the outstanding results their clients see day after day. Congratulations to my friends, this is just the start! ", he concluded. “Silver partners manage 3 to 5 clients in the HubSpot portal, while Platinum partners manage 18-40. As of this post, there are only 20 Diamond and 95 Platinum partners worldwide (Only 3 in Latam, IDS is one of them), out of more than 3,000 HubSpot Certified Agencies”, said IDS Agency Founding Partner and Culture Disruptor Ranya Barakat. "This means more experience, and knowledge for our team to deliver better results to our clients”, she added. Meanwhile Isabel Sagenmüller, Marketing Director of U-Planner, a long-time IDS client, said “working with IDS has been a very positive experience, as it offers a supportive and helpful team of highly experienced Inbound experts." "They helped us establish a relationship with our ideal clients, converting them into leads and customers, while positioning U-Planner as experts in the higher education SaaS industry using compelling content”, she added. Reached gold tier level in June 2016, only 1 year after acquiring our 1st client. IDS Agency works with mid- and large-size companies to develop effective Inbound Marketing, Inbound Sales, and Growth Driven design strategies to boost qualified lead generation through content marketing, automation software, Inbound Sales and Growth-Driven Design. Today, over 10,000 customers in 65 countries use HubSpot’s software, services, and support to transform the way they attract, engage, and delight customers.